French comic book artist, illustrator and publisher. Born in Toulouse, 1944. Principal works: comic strip books Lone Sloane, The Six Voyagers of Lone Sloane, Delirius, etc. 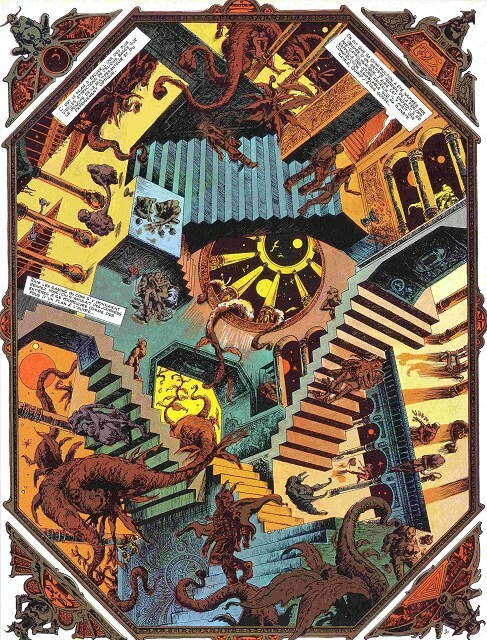 In his Lone Sloane there's image of room, which was inspired by Escher's Relativity.